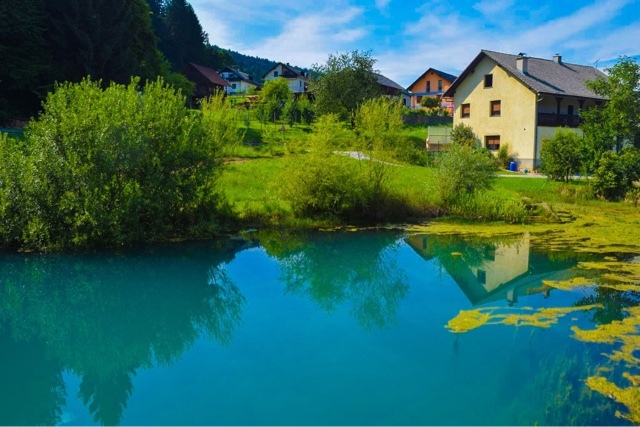 Travelling Slovenia is an absolute must: serene nature, adventure activities, friendly people and delectable foods. 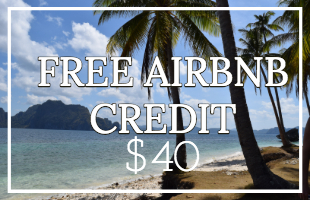 Not to mention, it's extremely conveniently located so you can add it to almost any dream European itinerary! 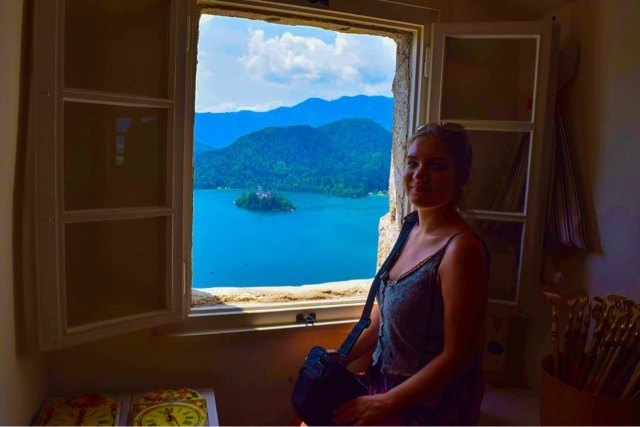 I promise you, by the time you finish this travel blog about Slovenia you will be bumping 'travel to Slovenia' to the top of your bucket list or your time back!! (I'd give you your money back but you haven't given me any... yet, but don't be surprised if you feel the need to send me millions of pounds for opening your eyes to the wonder that is travelling Slovenia 😉😉 ). So sit back, relax, and find out the 10 top reasons you should travel to Slovenia! 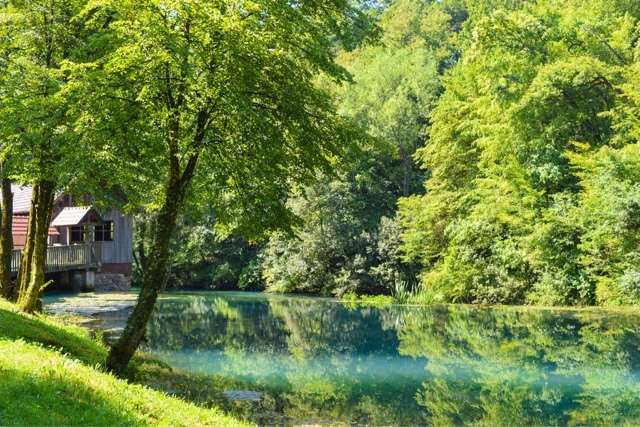 Forget black and white, everything in Slovenia is blue and green: blue rivers, green forests, blue skies... 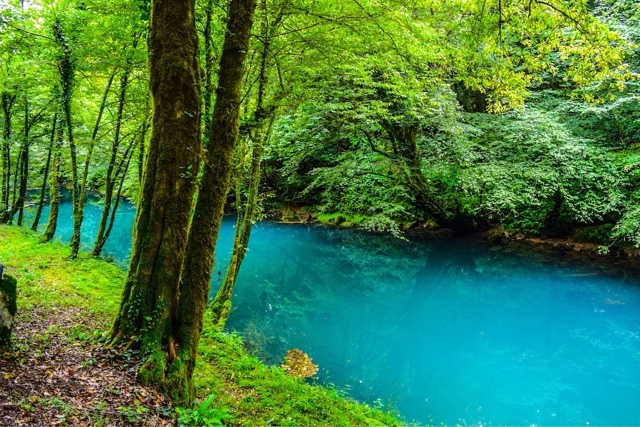 Seriously, a typical landscape in Slovenia will look something like this: an aquamarine river, surrounded by electric green ferns, grass, moss and trees. In the foreground, there will be cute rolling-emerald-green-hobbit-hills and in the distance, a formidable mountain covered in trees that are so dense the green actually looks like midnight blue. 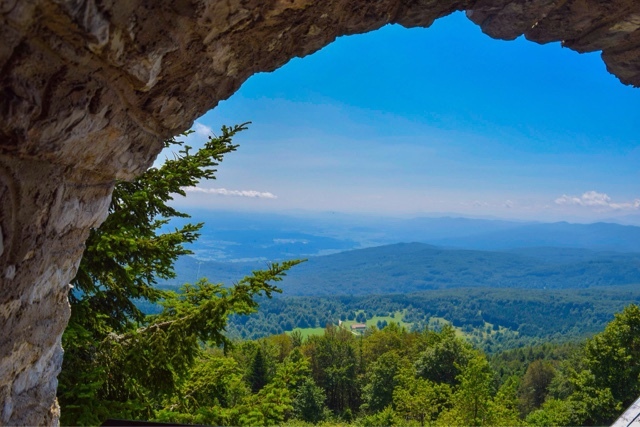 Top the image with an azure blue sky and we've painted a picture of travelling Slovenia. 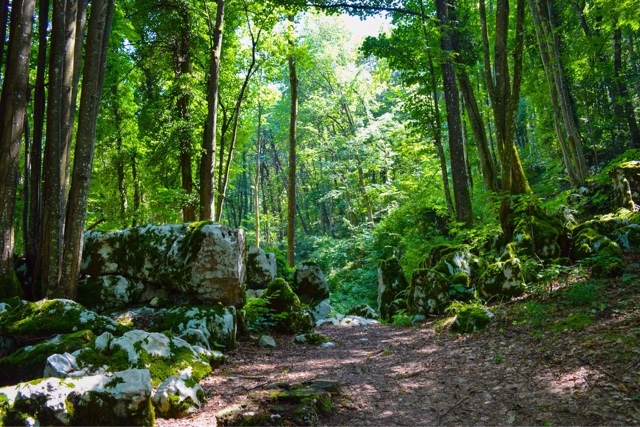 Here are some facts to back up that painted picture: 60% of Slovenia is forest, making it one of the most forested countries in Europe and indeed in the whole world! Slovenia also has 59 rivers, each clearer and bluer than the last. With great nature comes great wildlife (which are probably only there trying to get good photos for their Instagram accounts). On our first day at Big Berry, we saw a deer skipping through the fields and numerous fish in the clear, clear rivers. They also have the kind of fish that come and eat the dead skin from your feet - like in Thailand. We also saw herons, cranes and newts! And if wildlife isn't your thing, you'll see plenty of domesticated animals too - beautiful horses and lots of milking cows. 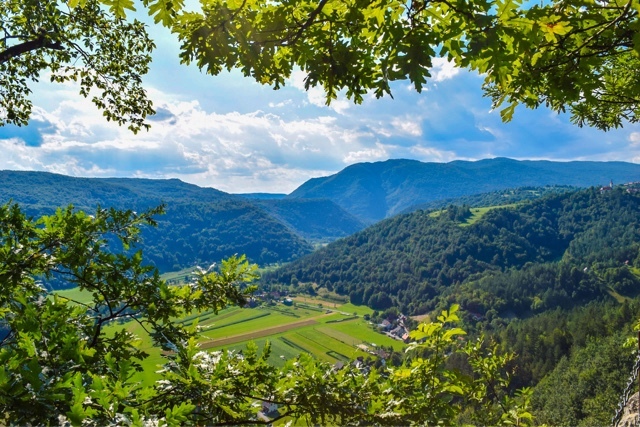 Put simply, if you love nature and wildlife you have to come to Slovenia! First things first: Pogaca. What is pogaca and why has it come first? 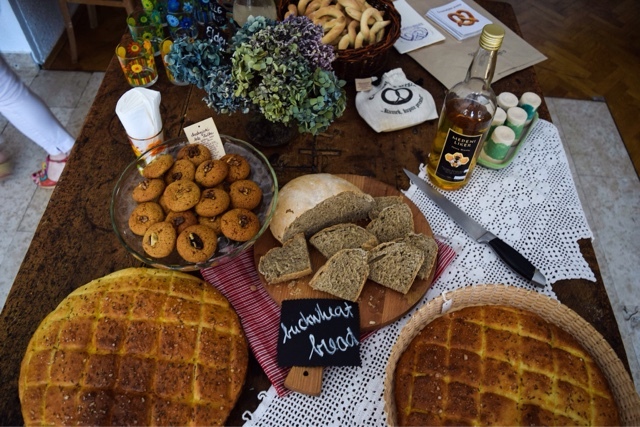 Pogaca is a typical Slovenian welcome bread. It's round, light and very salty - aka the best bread ever. 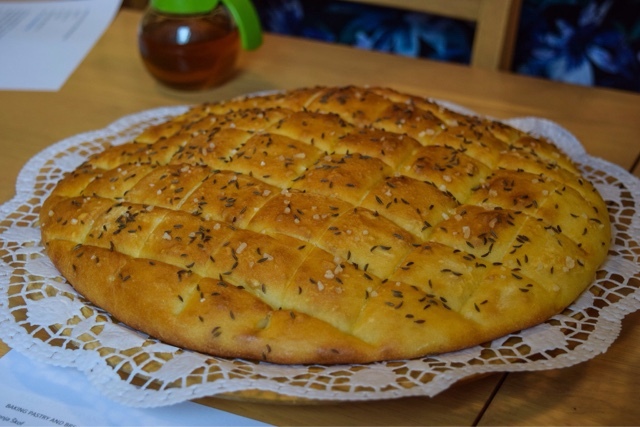 Pogaca must never be cut - it's specifically made with grooves so that it must be split by hand between friends. Slovenian cuisine also involves lots of lavender, ginger and honey. 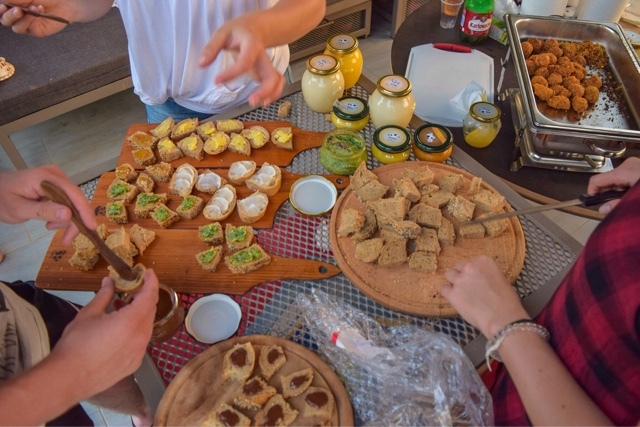 A trip to BIBI Turizem is an absolute must to try out lavender juice, ginger cookies and honey schnapps. And the honey doesn't stop there. 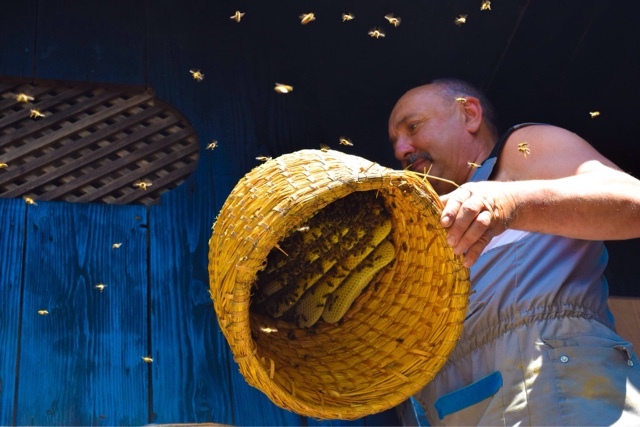 Another must for your Slovenian bucket-list is a trip to a traditional beekeeper to learn how bees make honey, how humans harvest it, how to recognise good quality honey and to discover which food keeps for thousands of years (okay, you guessed it, it's honey). We also recommend a trip to Pecaric to learn all about oils and what they can be used for (acne, digestion, stress relief etc). Sure, you may leave thinking that you need a big tub filled with every single oil, but you will also leave, hopefully, with some delicious oils - we recommend the pumpkin and the apricot. 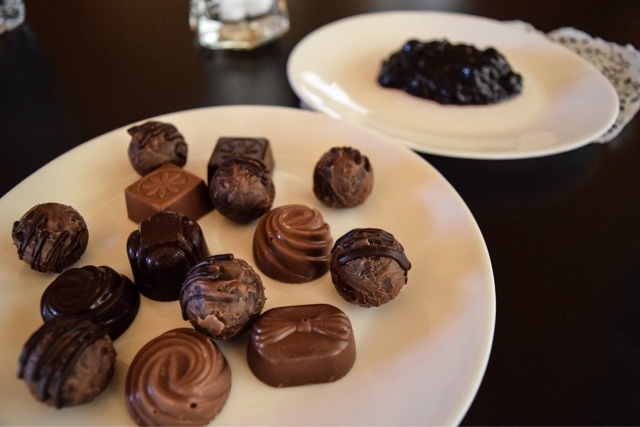 Another absolute must is a stop at Berryshka - the chocolatier and distillery which makes divine fruit liqueurs, juniper brandies and delicate chocolates. We loved the blueberry liqueur the best. Speaking of alcohol, the fun doesn't stop at fruit liqueurs. No, Slovenia is actually a big wine country, making around 90 million litres per year (and consuming most of it domestically). 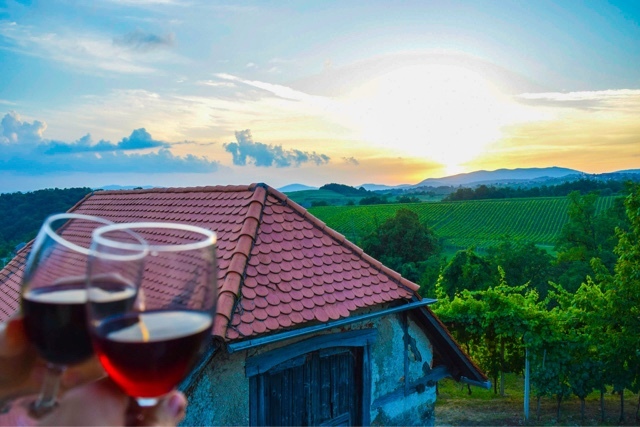 Slovenians are very proud of their wines, and rightly so: not only are they divine, but they have been making wine since the time of the Celts, i.e. way before the Romans introduced winemaking to Germany, Spain and France! 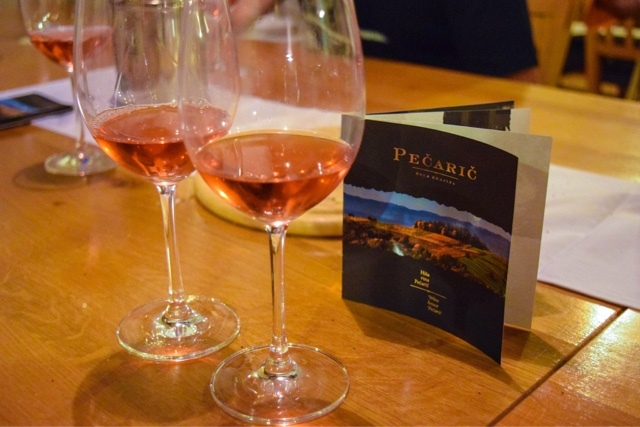 You cannot tick off traveling in Slovenia without visiting one of their wineries like Suklje or Pecaric, okay maybe if you don't drink wine you shouldn't go... because there will be a lot of wine drinking - and of course a Pogaca welcome bread or two! Slovenian beer is also, you guessed it, divine - and this is coming from a Brit and a German (which in our eyes makes us beer experts for some reason). 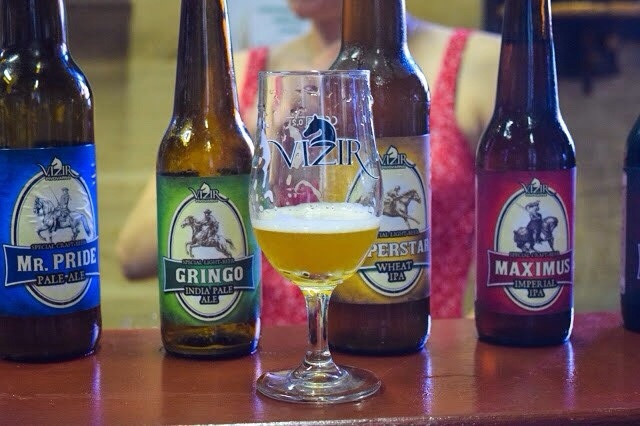 Our favourite Slovenian beer was by the craft beer makers Vizir. One afternoon we also had a tour of their factory, followed by a beer tasting. They were all delicious and our favourite was Imperial IPA. One of our absolute favourite stories was hearing about 'stealing Croatia'. 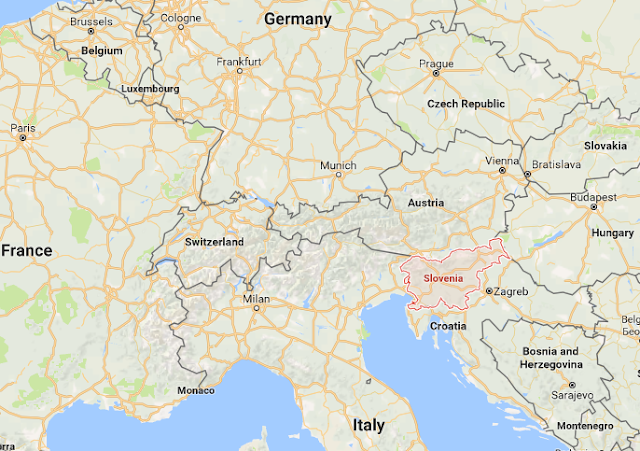 Slovenia borders Croatia and so they have a healthy, friendly rivalry. In fact, most of the border is a 40m narrow river, so children will often swim to Croatia, take something like a rock or a twig, and swim back - aka stealing Croatia! How cute is that?? Every Slovenian we met was warm, friendly and extremely hospitable, making it an absolute joy to travel to Slovenia. 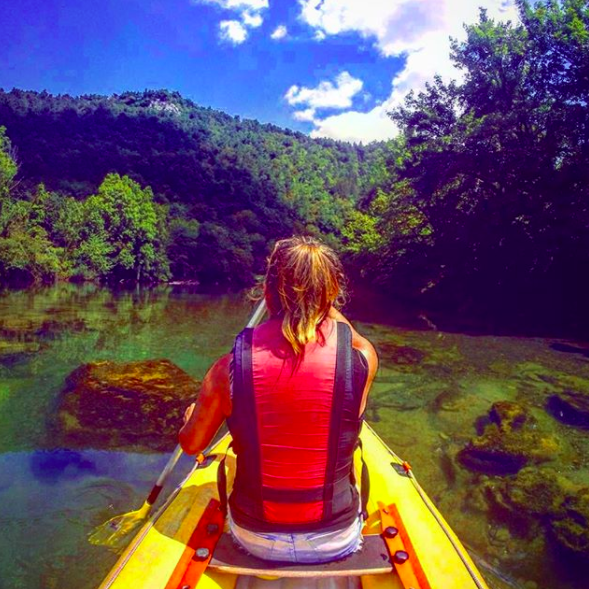 Surprisingly, for a country so peaceful, there is a lot to do when travelling Slovenia, especially if you love nature and super-especially if you're a water baby: swimming is a must, as is canoeing, kayaking and our favourite - rafting. There are also thousands of beautiful hikes that can (and should) be done when you travel to Slovenia. Slovenia has a lot of breathtaking lakes, most well known of course is Lake Bled. Lake Bled is of glacial and tectonic origins and is the most gorgeous turquoise colour. 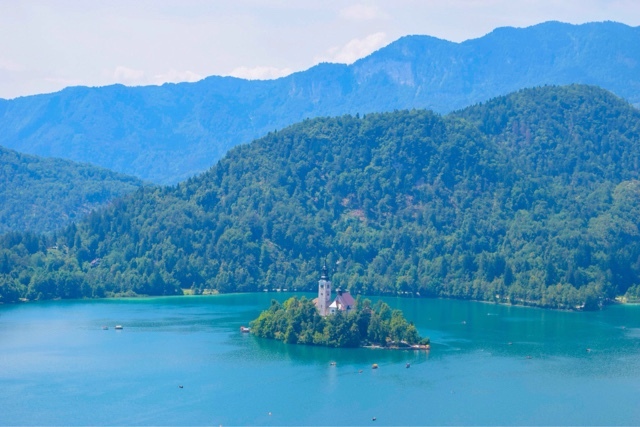 Find out more about Lake Bled with our guide: A Guide to Visiting Lake Bled. Ljubljana quickly became one of our favourite European cities: it's cool, it's quirky, it's small enough to not feel swamped but big enough not to bore you and the food is delicious - of course. Ljubljana is the greenest capital in Europe and also probably the hardest to spell! 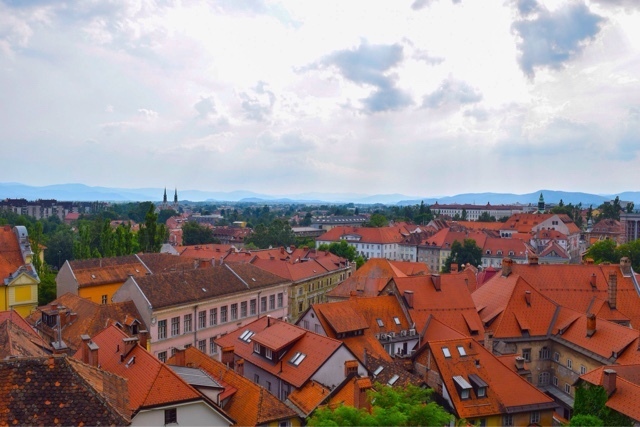 Check out our full guide to Ljubljana here: A Guide to Visiting Ljubljana. It's so easy to travel to Slovenia because it is located in central Europe. 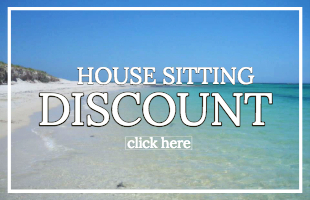 This makes it ideal to add to almost any dream European itinerary. 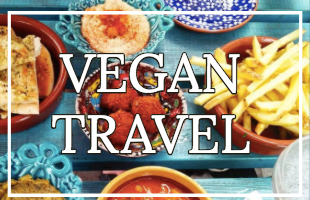 Travelling Slovenia works well with a trip to Italy and/or Croatia because Slovenian food is the perfect mixture of Italian and Croatian food. Ljubljana to Zagreb only takes about 2 hours by bus, train or car, and from Zagreb, it's just a hop, skip and a jump to Budapest and then on to Vienna, Bratislava and Prague. (We took buses between all of these locations and it was a lot of fun). Going the other way, Ljubljana to Venice is about 4 hours and from here you can reach all corners of Italy, or head up to Switzerland and Germany! 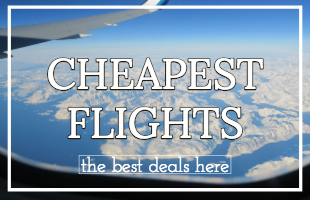 In terms of flying, super-duper cheap flights can be found from Ljubljana to London (only about £18 if you book early enough and pack lightly). To Paris is also extremely reasonable (about £59). 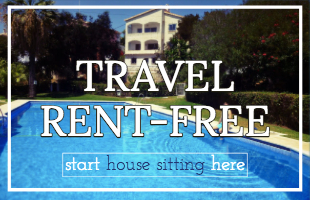 Flights to Germany, Turkey, UAE and Spain can all be found for between £100 and £200. Travelling Slovenia wouldn't be complete without a stay at the luxury glamping camp: Big Berry. We stayed here for 12 days and it was relaxing, rejuvenating and packed with fun! It's a unique and luxury place that simply has to be seen to be believed. Find out more by reading our full review of Big Berry and/or visit them on their website bigberry.eu and/ or on Facebook, Instagram and Twitter. We don't just have a travel blog Slovenia, we're travel vloggers too! 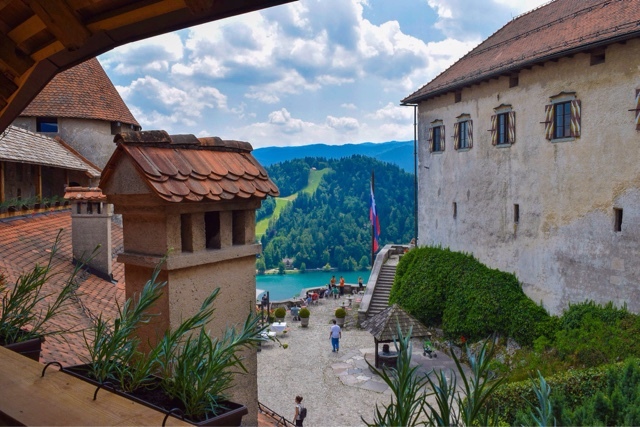 Check out our playlist of our time travelling Slovenia for more Slovenian inspo! Hopefully, it's clear by now that we absolutely loved travelling Slovenia. It completely surprised us with its beauty, delicious food and wonderful people. Do you love Pinterest? Get pinning! Let's connect!! Do you have Facebook, Instagram and Twitter? Over to you: have you traveled to Slovenia? Did we miss any reasons you should travel to Slovenia off this list? Disclaimer: Travelling Weasels were invited as guests of Big Berry, but as always all opinions are our own. We are super confident you will love Slovenia travel - I mean love is in its name, how could you not? !